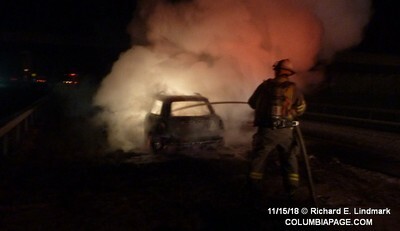 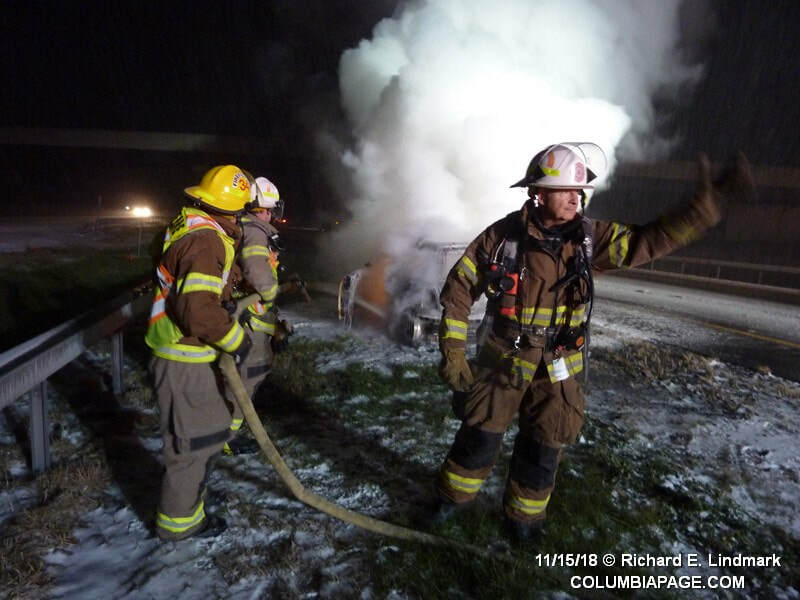 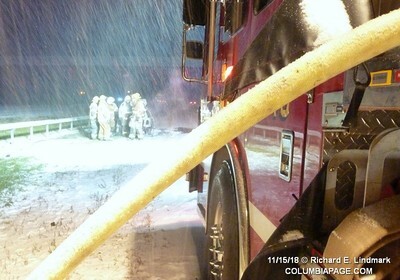 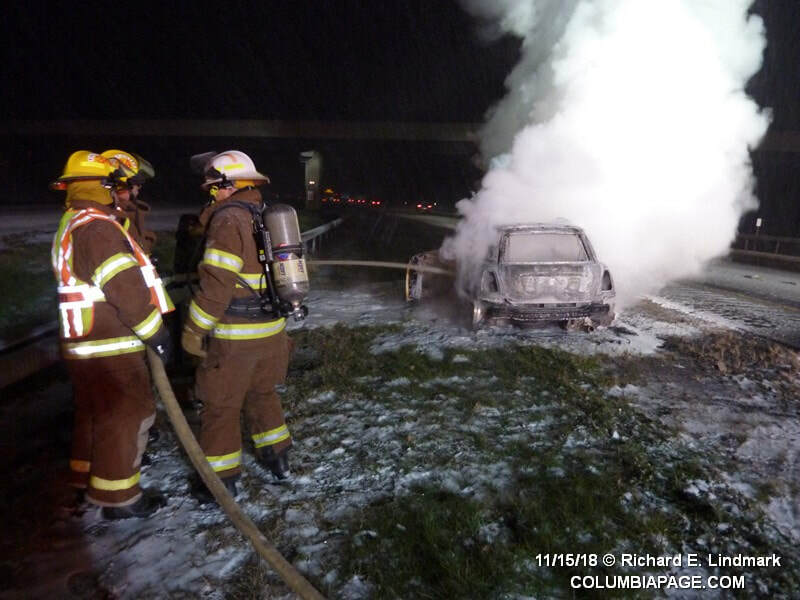 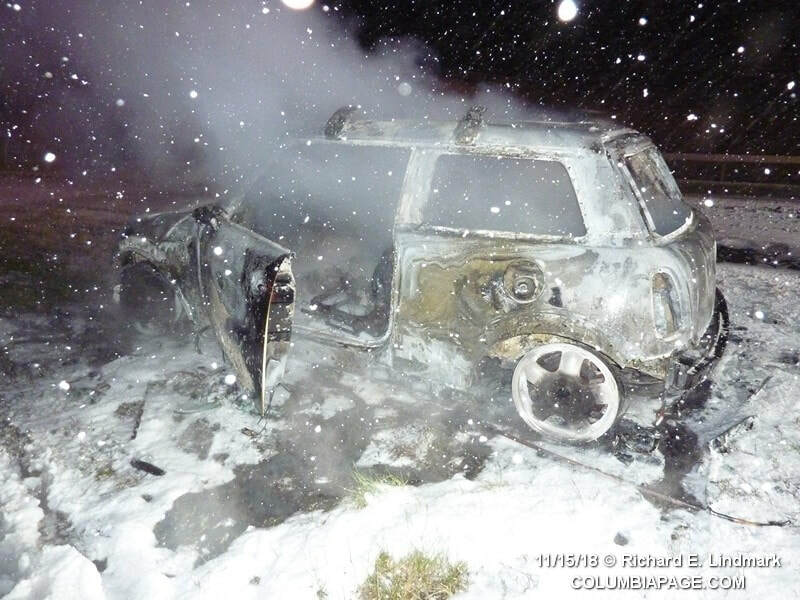 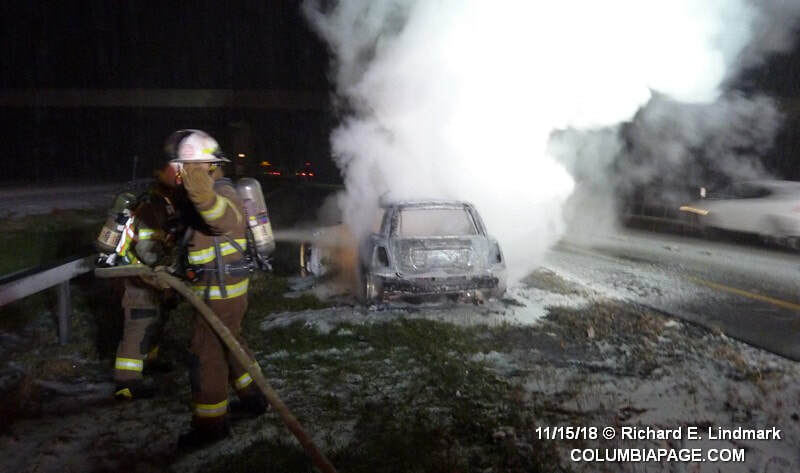 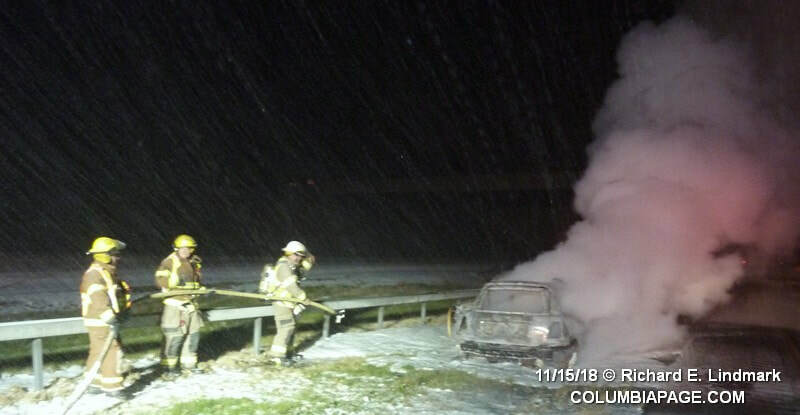 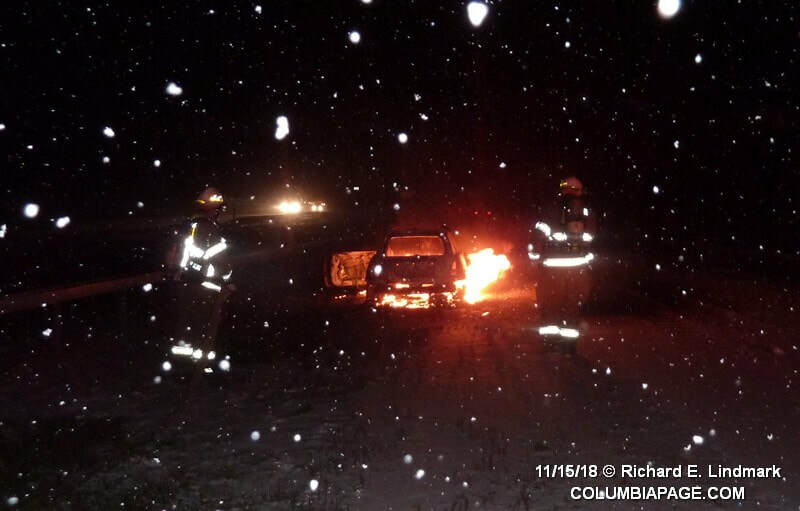 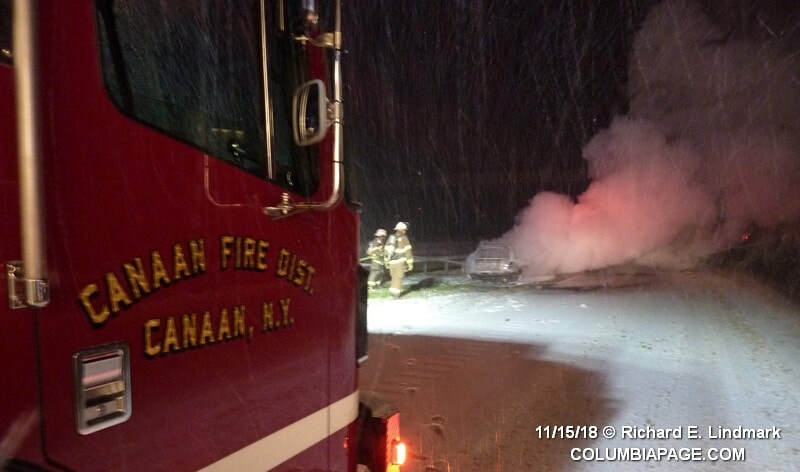 Columbia County 911 dispatched Canaan and Red Rock Firefighters and Chatham Rescue at 6:41pm for a vehicle fire on the New York State Thruway in the Town of Canaan. 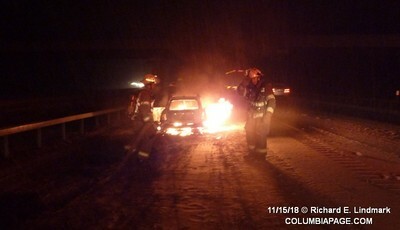 The incident was located in the westbound lane near the Route 102 overpass at milepost 24.09. 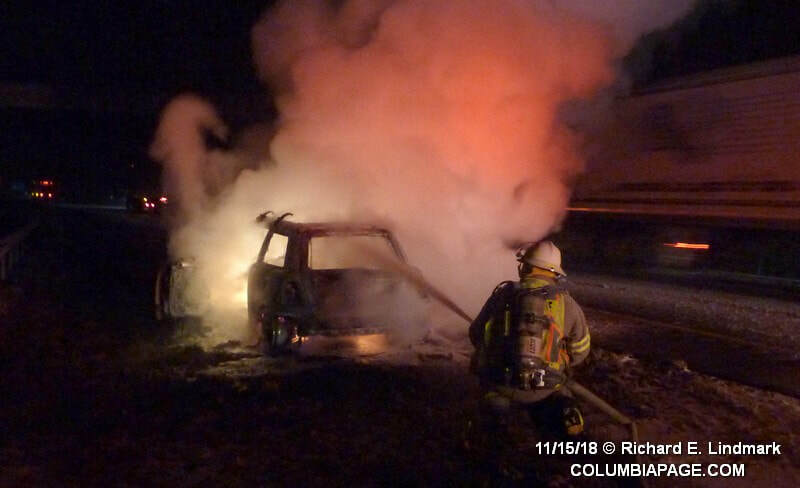 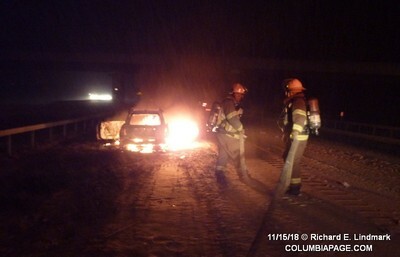 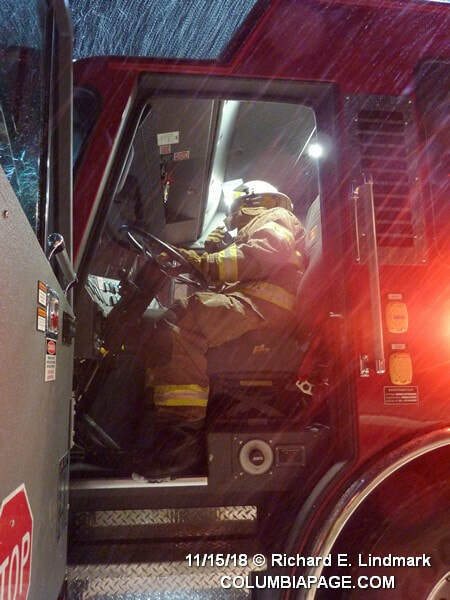 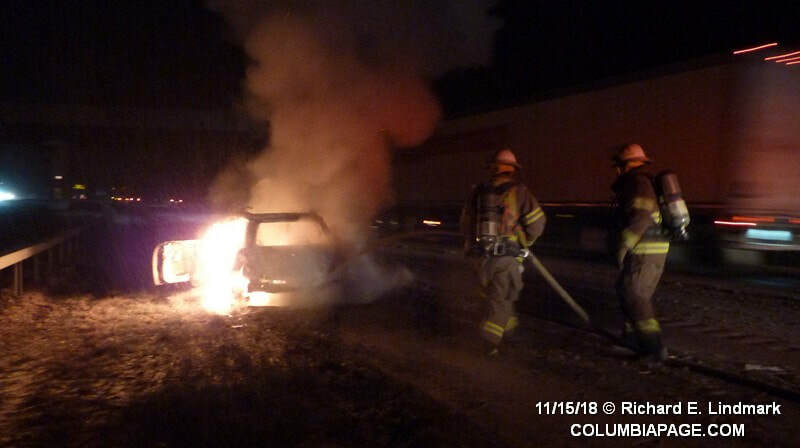 The vehicle was fully involved upon arrival of fire apparatus. New York State Police from Troop T and Traffic Safety from the Thruway were on the scene.